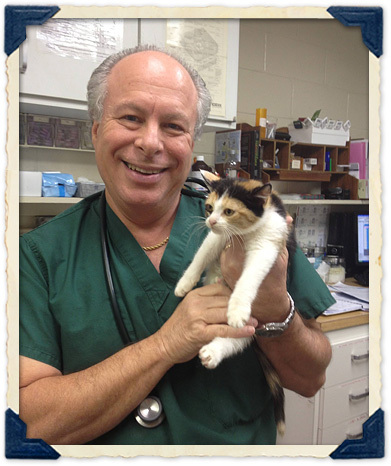 Founded in 1983 by Dr. Barry Lissman and Dr. Howard Camay, Sachem Animal Hospital and Wellness Center is committed to providing the highest quality, state-of-the-art medical, dental, diagnostic, and surgical care for your pet. We provide compassionate care and treat your dog, cat, bird, pocket pet, or reptile as though he or she was our own. When a pet receives proper veterinary attention along with a loving home, he or she has the best chance of living a long and happy life. Our animal hospital reflects the best that veterinary medicine has to offer. We have developed a complete wellness care program based on the principle that preventive care is the best way to protect your pet's well-being while minimizing the lifetime cost of care. Preventive care includes routine physical exams, laboratory work, nutritional counseling, specialized care for senior aged pets, appropriate vaccines, lost pet microchip ID, and a variety of other services. Despite the most advanced care and nurturing, your pet may still develop an illness or be injured. At Sachem Animal Hospital and Wellness Center, our internal medicine, surgical expertise, advanced diagnostics, and veterinary laboratory ensure that your pet receives a quick and accurate diagnosis followed by the proper treatment. We always discuss your pet's medical diagnosis with you, as well as the various treatment options, before we continue with our healthcare plan. We understand that your pet's needs do not end with our medical and surgical services. Our Sachem Pet Hotel and Day Spa provides daycare and overnight boarding in a safe, comfortable environment, as well as bathing and grooming by a skilled pet groomer. Grooming is an important part of preventive medical care, and regular grooming at our Holbrook Pet Spa will help keep your pet healthy and feel great! Our staff at Sachem Animal Hospital and Wellness Center includes award-winning veterinarians and licensed veterinary technicians, trained technician assistants, and caring, attentive receptionists. Along with our collective skills and experience, we also understand how important it is to you that your pet receives veterinary care from professionals within a friendly and welcoming environment where your questions and opinions are respected. We are pet owners ourselves and know how important your pet is to your family. As a part of our personalized approach to veterinary medicine, we work closely with you to understand your pet's unique health needs, develop a customized wellness plan, and ensure you have the knowledge required to be a responsible, loving caregiver. It is our goal not just to ensure the health and well-being of your pet but to be your partner in strengthening the bond you share. Please browse our website to learn more about the services we provide and why they are important for the health and well-being of your pet. If you would like to speak with a member of our veterinary team about any further questions or to schedule an appointment, please give us a call at (631) 467-2121. Monday – Friday: 8 a.m. – 8 p.m.
Sunday: 8 a.m. – 1 p.m.
We accept cash, checks, MasterCard, Visa, American Express, Discover, and CareCredit. Payment is due upon completion of services.